Carrie Fisher had to lose two-and-a-half stone for 'Star Wars: Episode VII - The Force Awakens'. 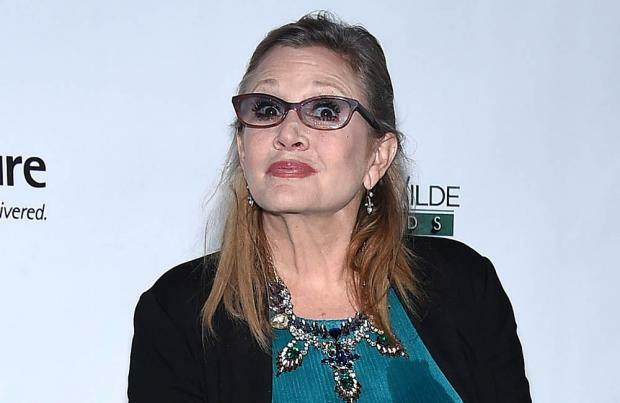 The 59-year-old actress will reprise her role as Princess Leia in the highly-anticipated film but insists the movie industry's emphasis on weight and looks is "messed up" and admits she had a tough time trying to shed 35lbs. She said: "Nothing changes, it's an appearance-driven thing. I'm in a business where the only thing that matters is weight and appearance. Carrie joked 'Star Wars' bosses only wanted to hire "three-quarters" of her, but admitted there was no secret to her weight loss - she simply ate less and exercised more. But the star - who played Leia in 'Star Wars', 'The Empire Strikes Back' and 'Return of the Jedi' from 1977 to 1983 - would much rather be larger in size and feel like herself. She added to Good Housekeeping magazine: "When I do lose the weight I don't like that it makes me feel good about myself. It's not who I am. My problem is they talk to me like an actress but I hear them like a writer." The full interview with Carrie appears in the January edition of Good Housekeeping magazine.